Do you argue with your ex every time you have a conversation? Often times the alienating parent acts under the assumption-conscious or unconscious-that all their problems with her ex-spouse will go away if they can convince the children to hate that target ex-spouse. Since I’ve been working with target parents, alienating parents and children I have yet to meet an alienating parent who is happy about what he or she is doing and the reason is simple: for these purposes of alienation does not work. 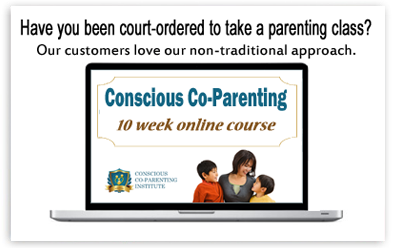 There are many different reasons why parents try to alienate the children from the other parent, though they are not usually conscious of their motives. Trying to resolve guilt for abandoning the family, an inability to control rage after feeling betrayed and getting defensive at the thought of losing a parental identity are all possible motives. Whatever the reason, when parental alienation is involved, one or both parents have a difficult time seeing the side of the other parent, this results in hurt feelings, anger, and bitterness that last for years maybe even forever. The parent’s conversations are generally arguments and nothing ever gets resolved. Most of the time the target parent has to step up to the plate and take the high road. Included are a few key elements to learning how to take responsibility for your contributions as one of the two parents in your child/children’s lives. 1. Remain calm, and try not to make demands. Make suggestions and negotiate. If you don’t succeed at keeping the tension down, then agree to come back to the issue later. 2. Be specific about what you want. You should be able to describe in a way that the other person can literally visualize in their mind. If you are trying to get your ex-spouse to understand something you can’t explain where they can visualize it, then this fuels anger and that is unfair. 3. Avoid telling your ex-spouse that they are wrong. Instead, tell your ex-spouse that you have a different idea about how to handle a particular situation. This approach avoids someone being right and someone being wrong. 4. Understand that you don’t always have to agree. “Agreeing to disagree” is much better for the children than their parents continue to fight in front of them. 5. Put the issue into perspective. Ask yourself on a scale of 1-10 with 10 being the most important thing you have to handle and 1 and one being the least important thing, how important is this issue? If you rate 4 or less then it is probably not worth the battle. Putting the issue in perspective beforehand creates less tension all around. 6. Listen for feelings. The art of effective communication is the understanding of how love and fear interact with each other. A good communicator knows that people’s emotional state is an essential element to understanding them. 7. Develop compassion for your ex-spouse. Our feelings are our birthright. Having certain feelings does not entitle us to act on them. There is a big difference between what we are entitled to feel and what we have a right to do. Use the Golden Rule “Treat people the way you want to be treated” and the Universal Rule “Act the way you would want everyone to act” to guide you in the decision on what behavior is acceptable and what is not when communicating with your ex-spouse. These are just a few of the key elements in defusing or preventing a heated situation when dealing with your ex-spouse. Remember that compassion is the ability to see the world through another person’s eyes. Having compassionate communication with your ex-spouse you will teach your children this very effective and valuable life lesson.